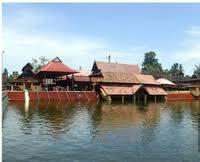 Here is Some Information about Chottanikkara Bhagavathy Temple in Kochi Kerala India. The Chottanikkara Temple is located in Bhagavathy Temple located at 17kms from Ernakulam of Kerala.There are two main temples here. The first one we see as soon as we enter is the temple of Rajarajeswari. The one behind it in a slightly lower elevation is called Keezhekavu, which has Bhadra Kali consecrated there. The Rajarajeswari is worshipped as Goddess Saraswathi in the morning, as Bhadra kali at noon and Durga in the night. This temple opens its doors every day at 4 AM. 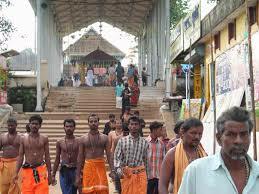 People believe that Goddess Mookambika of Kollur attends the first worship here before going to her temple. Another peculiarity of this temple is that the Goddess is not fixed to the ground but rests on a bed of sand. Nearby her, is the idol of Lord Vishnu. Hence the devotees always pray to her along with her brother Lord Narayana and chant 'Amme Narayana'. The main temple has the golden hued idol of Bhagavathy bedecked with flowers, garlands, and jewels. The idol has four arms with the upper right hand holding the disc, the upper left hand bearing the conch, the lower right hand in a boon-conferring pose and the lower left hand indicating the abhaya pose. The original idol of Bhagavathy facing east is of laterite and is believed to be self-born (swayambhoo). It is called Rudraksha Sila which is irregular in shape, red in colour and is untouched by the human sculptor. This image can be seen only in the wee hours of morning at 4 am when the Nada opens for nirmalyam. There is an image of Mahavishnu in granite on the same pedestal adjacent to the image of Bhagavathy, to her right. They are together referred to as Lakshminarayana. There are also the idols of Brahma, Siva, Ganapathi (Ganesh), Subramanya and Sastha on the same pedestal. The idol of the deity in the temple not being fixed to the ground is placed on a pedestal full of loose sand. The water offered during ablution ceremonies percolates underground and joins the tirtha of the Onakkur Bhagawati temple. There is a shrine of Dharma Sastha along with his consorts, Purna and Pushkala on the north-east side of the main temple. The Shiva shrine is on the south-west and Kizhukkavu, the shrine of Bhadrakali is outside the main temple on the eastern side. here is a paala tree on the northeastern side of the kizhukkavu shrine, which is covered with long iron nails hammered on by the haunted victims with their foreheads. 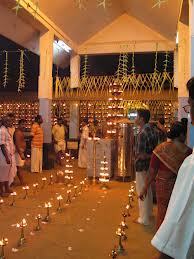 The famous pooja Valiya Guruthy performed in kizhukkavu on Fridays is said to cure the women of mental abnormalities. The sacred doors of the sanctum sanctorum open in the wee hours of the day, at 4.00 a.m. The blowing of the conch and playing of the temple musical instruments lend an enchanting ritualistic rhythm and peace to those who seek a sure answer to the patient prayers. 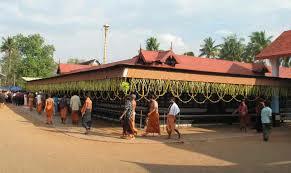 Sree Mookambika Saraswathy is also believed as present in the temple in the morning. 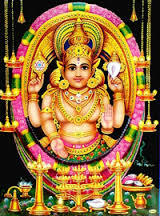 The important festivals of the temple are the Ulsavam, the Makom Thozal, the Navarathri, and the Vrishchicka Mandal Mahotsavam. By Road : There are Excellent transport facilities are available as number of private buses ply on Chottanikkara Bhagavathy Temple in Kochi Kerala. By Air : The Nearest Air Port is Kochi Airport (17 Km).